Last night's SmackDown was far more enjoyable than this week's Raw, delivering two hours of solid content - with a couple of glaring notable exceptions. It helped that the crowd didn't sound like it was at a funeral home this time around. The NXT takeover of the main roster continued, as Aleister Black, Tommaso Ciampa, Johnny Gargano, and Ricochet were all once again in action. Unfortunately, for the excitement they all brought, the actual build to Fastlane was lacklustre. Who got the most and least out of last night's show? I think it's safe to say it - Aleister Black is going to be a star. They were in New Orleans, and it was in that very arena nearly a year ago that Aleister Black defeated Andrade "Cien" Almas to win the NXT Championship - a fact which was fully acknowledged, which was somewhat unusual. For better or worse, the company views Andrade as a guy they can throw out there to have a top quality match with people they consider as top stars. 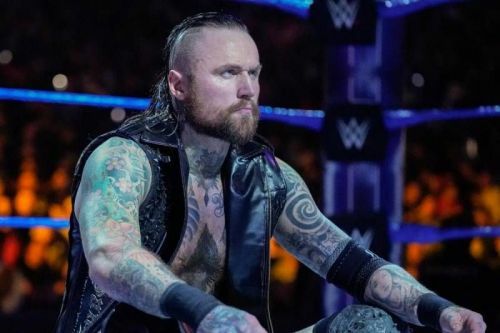 The fact that Aleister Black defeated him on his second night says a lot about how he's viewed backstage. They needed to be impressed with the reactions he got as well. We still need to see where it ultimately goes, but this is how you get somebody over. Not to be outdone, WWE delivered us a dream match between DIY and The Bar. There was a concerning spot where Ciampa's knee bent awkwardly during a top rope powerbomb spot, but he's thankfully OK. While I'm tentative about these two being a tag team, Ciampa kept to his character, showcasing the sadistic heel just waiting to come out, while Gargano looked reluctant to team with his former partner, but did so out of necessity in making an impression. Ultimately, Ciampa, in particular, should be a singles star, but this was a good showing for both.